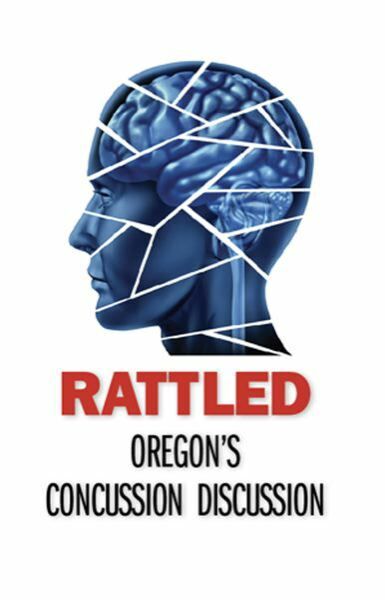 Rattled in Oregon: Head injuries in girls' soccer are an 'unpublicized epidemic,' say state and national researchers. When it comes to concussion in sports, all eyes are on football, or so it seems. But it's not just football that causes a high number of head injuries among young athletes. National research has found girls are more likely to suffer a concussion than boys in any sport. In 2017, researchers at Northwestern University generated national headlines when they found concussion rates among young female soccer players were nearly as high as concussion rates for boys playing football — and roughly triple the rate of concussions in boys' soccer. In Oregon, injury reports from public high schools analyzed by InvestigateWest and Pamplin Media Group mirrored that trend, showing soccer concussions were second to those from football between 2015 and 2017. What's more, at the schools that included the gender of injured athletes, there were nearly twice as many reports of possible concussions for girls playing soccer than boys in the sport. 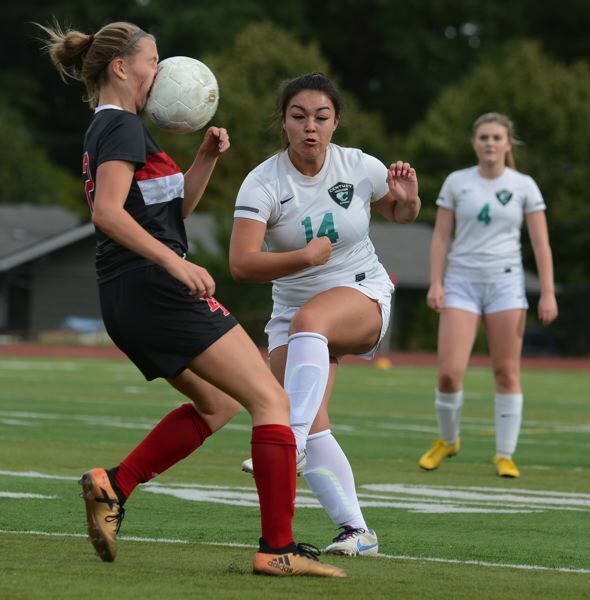 The rate of concussions in girls soccer worries local experts like Jim Chesnutt, a doctor in sports medicine at Oregon Health & Science University. Those injuries are not widely recognized, he said, even as concussion rates rise for girls playing soccer. "In a lot of ways, it's a growing epidemic for young girls that I think has gone unpublicized," said Chesnutt, co-director of the Oregon Concussion Awareness and Management Program and a member of the Governor's Task Force on Traumatic Brain Injury. It's understandable that much of the youth concussion conversation centers on football, given the physical contact that is visibly — and audibly — evident on every play, as well as the large rosters and lengthy lists of players who are injured. But if you compare girls soccer with football, and only look at the high school participation and injury data, "you're missing a gigantic part of the picture," according to Michael Koester, a doctor of sports medicine at the Slocum Center in Eugene. He directs its sports concussion program and serves as the chair of the Sports Medicine Advisory Committee for the National Federation of State High School Associations. Koester notes that high school boys play eight to 10 football games per season, and typically play other sports in the offseason. Girls, however, play 15 to 20 soccer games in a high school season. Then, after the season ends, they may play another 80-plus games throughout the winter, spring and summer with club teams, said Koester, who, like Chesnutt, is a medical adviser to the Oregon Schools Activities Association. "If we're looking at injury risk by athletic exposure," which is one practice or game, a standard in evaluating risk, Koester said, female soccer players probably are playing five if not 10 times more practices and games than football players. And Koester doesn't see the trend ending. "The thought used to be that this was all revolving around, 'Wow! They want to get their kid a scholarship,' " he said. "Now it's kind of gotten to the point where there's so much single-sport participation that we see kids that are specializing in sport early, just so they'll be able to make their high school team." Single-sport athletes are more prone to injury in any sport. According to a study by scientists at the University of Wisconsin, high school athletes who specialized in just one sport at an early age were twice as likely to suffer injuries to their lower extremities. "We see a lot of overuse injury among girls playing soccer," Koester said. "We see a lot of ACL injury among girls playing soccer. It's a well-known problem." Another factor is the evolution of sports. Angella Bond is an athletic trainer for Tuality Sports Medicine and works on the sidelines with athletes at Hillsboro schools. Anecdotally, she said, all athletes push to be bigger, faster and stronger. Soccer is no exception, nor are girls. As athletes develop, they take bigger hits at higher speeds, and competitive games build on their momentum. As competition grows in girls' soccer, the sport is trending to be more aggressive, she said. "Unfortunately, I think that happens with girls sports," she said. "Arms fly a little bit more." Chesnutt agreed. "I think over the years, soccer has become more physical," he said. "And I think the physical contact and the aggressive nature of that physical contact is more associated with concussions." According to the American Academy of Pediatrics, soccer — unlike football, ice hockey and lacrosse — is not a "collision sport." But it is a "contact sport" because athletes "routinely make contact with each other or inanimate objects." Header balls, though often singled out as a major cause of concussions, are not necessarily the main culprit. The force created when a soccer ball meets a head can rattle a brain, but data increasingly points to other factors when competitors vie for a ball in the air. According to a study by The Research Institute at Nationwide Children's Hospital, while headers accounted for 27 percent of concussions, it was knocks with other players on aerial play — including head-to-head contact and arms and elbows to the head — and contact with the ground that accounted for 70 percent of those concussions in girls soccer, suggesting aggressive play is a factor in most concussions involving headers. But why are girls more prone to concussions than boys while playing soccer? The prevailing theories focus on their weaker neck-muscle development, weaker body strength (needed to stabilize the neck and head during aerial play), and more frequent contact with the ground. A year ago, a study in the Journal of the American Osteopathic Association found that female high school soccer players took twice as long as male players to recover. It's also possible that girls don't benefit as much from early treatment. A recent study published by the American Academy of Pediatrics found that girls are five times more likely than boys to stay on the pitch and play through a head injury. And, the soccer community has been slow to recognize the hard hits its girls are taking. Instead, soccer is at the forefront of the cultural empowerment of girls. 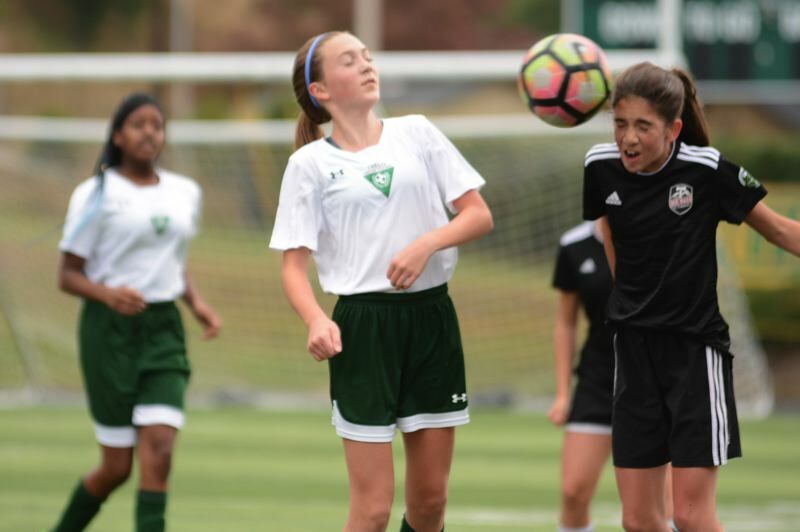 Local experts concerned about concussion risk note that sports, including girls soccer, have plenty of benefits. Just being physically active is good for kids, and sports like soccer help establish lifelong fitness habits, teach team-building skills, and promote character development and assertiveness. "The worry is that the take-home message is that (girls soccer) is healthy and fantastic and nothing can be bad about it," said Koester, who says an opposite negative message, equally extreme, is more often associated with boys playing football. Concussion education and awareness in girls soccer is paramount, according to local experts such as Chesnutt. "I think the way to decrease it is to really analyze how we can modify the amount of body contact that goes on in soccer to limit the dangerous aggressive behavior that is associated with concussion," he said. Unlike youth football, a sport that's adjusting to new information about concussions all the time, soccer has largely failed to address new information about concussions, Chesnutt said. Football, for example, has reduced head-to-head helmet play, limited full-contact practices and games, and zeroed in on the specialty teams with the highest concussion rates. "Football has really done, I think, an exceptional job of identifying some areas where there have been some definite higher incidents and some problems," said Chesnutt, who lectures nationally about youth concussions. "As a group of coaches, leagues, parents and referees, they've all looked at it and come up with some solutions that have decreased concussion rates. And I think it's time for soccer to do the same thing." Headers often pivotal in soccer, but are they safe? The increased concern about brain trauma in youth sports puts soccer at a confounding crossroads. 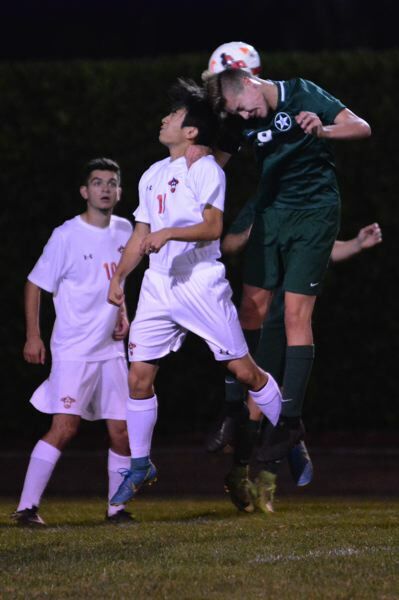 As athletes, parents and coaches look to limit (or remove) head contact from their games, soccer enthusiasts are debating headers — a staple in the sport that requires players going into the air to win the ball at its highest point. It's often a dramatic part of play, leading to many goals. But is it necessary? Coaches tend to agree on the dangers involved in headers, but say it's not so much the ball hitting the head. With proper development and training, that can become a relatively safe skill. It's the contested plays, when two or more players are going after the same ball, that result in some of the game's most violent collisions — often involving a crash of craniums. "It's less about the header than it is contact with another player challenging the ball," said Centennial High girls soccer coach Kelsey Birkhofer. "That's where it gets dangerous." Reynolds High boys soccer coach Allan Berry agrees. "Most of the time, when we are calling trainers out to look at players, it's because there has been a big collision or a clash of heads," he said. Coaches teach their players to protect themselves when going after a header, folding their arms up with their fists near their ears to create personal space in the air. 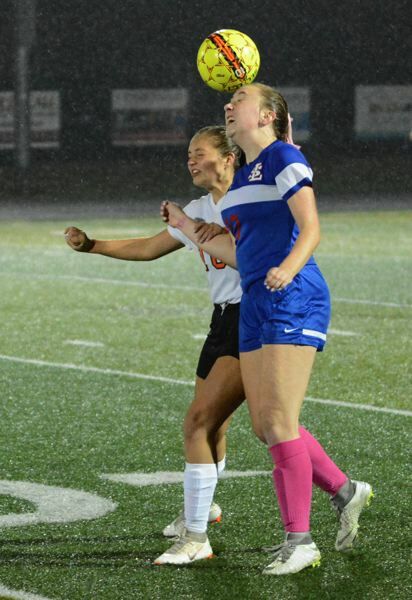 "That way you are absorbing contact with your arms if another player comes in," said Gresham High girls soccer coach Brandon Tatum. "What you want to take away are those aerial collisions." USA Soccer officially addressed headers three years ago, banning the practice for children ages 10 and under. Whenever a header is played at that level, the referee stops play and awards a free kick to the opposing team. USA Soccer also mandated that for players ages 11-13, no more than 30 minutes per week in training may be devoted to headers. "I've always thought that headers ought to be limited when players are younger, but it's part of the game as they get older," Berry said. "I've never encouraged it with my youth teams because the brain is too valuable." Most soccer coaches interviewed for this article expressed reluctance to remove headers from the sport entirely. But some, including John Johnson, are wary of their unseen impact. "Studies are showing that the most dangerous part is repeated hits to the head," said Johnson, coach at the Open Door Christian Academy in Troutdale. "The NFL is looking into the impact of jarring hits over and over again. Studies are showing that repeated exposure is more dangerous than that one big hit." Johnson actively encourages his players to adjust their position on the field to let an aerial ball come to their feet or to play it with their body. It's a strategy that he says benefits players' health and the quality of the game. "Most of the time when you head a ball it doesn't end up going to a teammate anyway," he said. "You have better control passing with your feet than with your head; plus you avoid that added risk." The only ball that Johnson feels safe allowing his team members to play with a head is one that has already bounced off the ground, and the player is simply nudging it ahead to himself to start a run. "This is a new safety issue that we need to worry about," he said. Coaches aren't the only ones paying attention to the reports about the dangers of brain trauma. "My girls are an extremely smart group," said Barlow High girls coach Jay Jacobsen. "They see the ESPN reports, and they are aware of the studies out there." Jacobsen said he's seeing fewer headers as concussion awareness rises. "I saw it watching a college game on TV the other day," he said. "You see girls bringing the ball down to the chest or their legs, finding alternatives to playing a header." Do fewer headers take something away from the game? For Johnson, that's the wrong question. "We want to be looking out for the girls' safety and well-being," he said. "If that means less heading then so be it. They are people first." is a joint project of InvestigateWest, Pamplin Media Group and the Agora Journalism Center, made possible in part by grants from Meyer Memorial Trust and the Center for Cooperative Media. Researcher Mark G. Harmon from the Portland State University Criminology & Criminal Justice Department provided statistical review and analysis. New York's Solutions Journalism Network provided training in solutions-based techniques and support to participating journalists. Components of this project, which will include video and audio files, charts and graphs, will be hosted online by both InvestigateWest and the Portland Tribune.